-"Огледайте" смартфона си в медията и управлявайте всички функции за развлечение. Играйте игри, гледайте видеоклипове и се наслаждавайте. 1. Please check whether your car's center console can be fit with your car. 2. Due to different versions of VW T5 Multivan (Startline) / Transporter (T4 / T5) (1998-2009) car models, please check to ensure you have the same center contour, appearance and size before purchasing. 3. 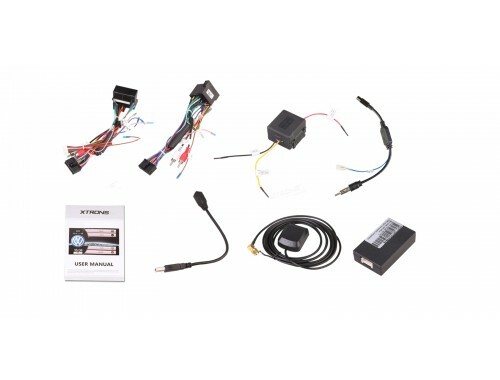 Please check whether there is CANbus system in your car, if there is not, or this unit CANbus is not compatible with your car, you need to make some modifications of the wires connection, please contact with XTRONS customer support for the information. 4.This unit does NOT support your car's Dynaudio sound system. The original User Interface and classic appearance retaining all the stylish and unfailing elements Volkswagen / Skoda / Seat has. Same appearance provides different entertainment solution. Custom the car logos to match the original taste of your car. PF70MTWS with high transmittance & anti-dazzle touch screen gives you Ultrahigh light transmittance, clear and vivid images. Other aftermarket units with ordinary touch screen have low light transmittance and fuzzy images. With the screen mirroring function, any content from your smart phone can be mirrored onto this head unit. Two-way control of all the Applications from your smart phone, no delay video playback, enjoy exciting games and more on the large display. Note: This function is only applicable with Android smartphones, and the phone should be at least Android 4.0 version and quad core processor. A USB cable can help build the connection, so there is no need to connect via WiFi. Audio files require a Bluetooth connection. 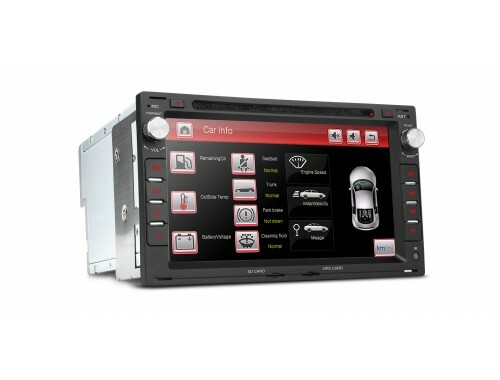 The dual channel CANbus is designed to work in harmony with your Volkswagen / Skoda / Seat. It builds a close relationship between the unit and your car. Your car's information including Remaining Oil, Outside Temperature, Battery Voltage, Seat Belt, Trunk, Park Brake, Cleaning Fluid, Engine Speed, Door Opening, instant Velocity and Speed can all be displayed on the unit. In order to cater for different metric systems and for left/right had drive vehicles, you have the option to switch between Kilometers and Miles, Left or Right Door. In order to go in harmony with the whole design of PF70MTWS, we have taken into account every details of this unit. The thickened spray silver heat sink, unique stepped back design, special magnet ring added in the USB cable, reversing camera rectifier filter, all of these make PF70MTWS the most attractive entertainment solution. Thickened heat sink enables the unit to exhaust the additional heat quickly. Special crafted spray silver design makes this unit rust-proof. The unique stepped back design enable enough space for the wires installation. With a special magnetic ring added in the USB cable, disturbances in signal transmission are minimized, so you can enjoy the most authentic signal from the original. The rectifier filter provides you with a more vivid and clearer scene whilst reversing your car. Now with our powerful 800MHZ Cortex A7 Processor and latest WinCE6.0 system, you can enjoy the fastest running speed than ever. Play DVD / Radio / Music while navigating. Passengers in the back can also enjoy the entertainment. Access phonebook, call logs, search contacts information with name or numbers, make hands free calls, display unanswered calls, custom pairing code and listen to Bluetooth music. 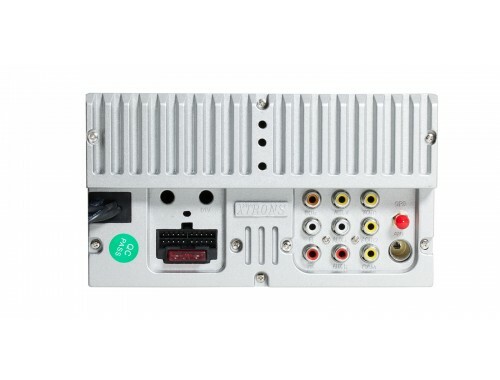 The DVD player is compatible with most DVD and CD discs that are available on the market. Compatible Formats: DVD, SVCD, VCD, DVD-5, CD, CD-R, CD-RW, DVD-9, DVD±R, DVD±RW. 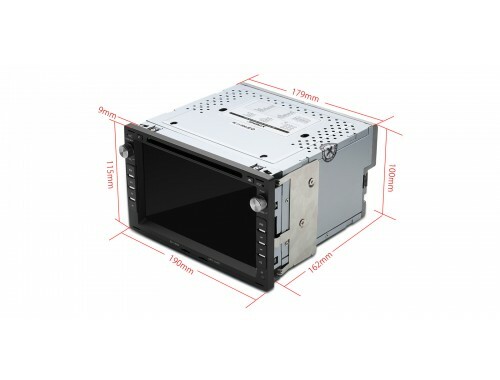 External accessories to make the head unit better suited to your needs. Reversing Camera (Optional) ensures the safe reversing. Simplified Chinese, English, Traditional Chinese, Russian, French, Spanish, German, Portuguese, Thai, Arabic, Polish, Japanese, Hungarian, Turkish, Czech and Italian.